As we stepped into the deep blue room, the rhythmic pinging of a radar rang out. A moment later, the teletype appeared on screen. Dateline: December 7, 1941. 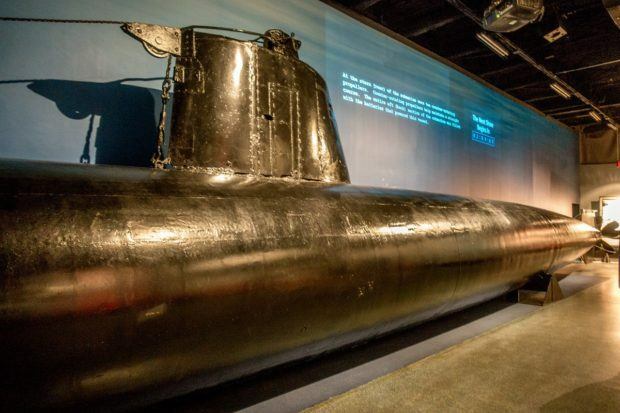 In front of us was something I couldn’t fathom still existed—the only remaining midget submarine that initiated Japan’s attack on Pearl Harbor. In this dark space in the National Museum of the Pacific War, we were underwater mere seconds before the start of the conflict, standing by the machine that started it all. We’ve always had a strong interest in World War II. We’ve walked the white beaches of Normandy and stood in the barracks at Dachau. We’ve traced the train tracks at Birkenau and paid homage at countless sites around Europe. But despite the immersion in the European side of the War, our knowledge about what happened in the Pacific has been quite limited. That’s certainly no longer the case after our most recent trip to Fredericksburg, Texas, and its fabulous museum. 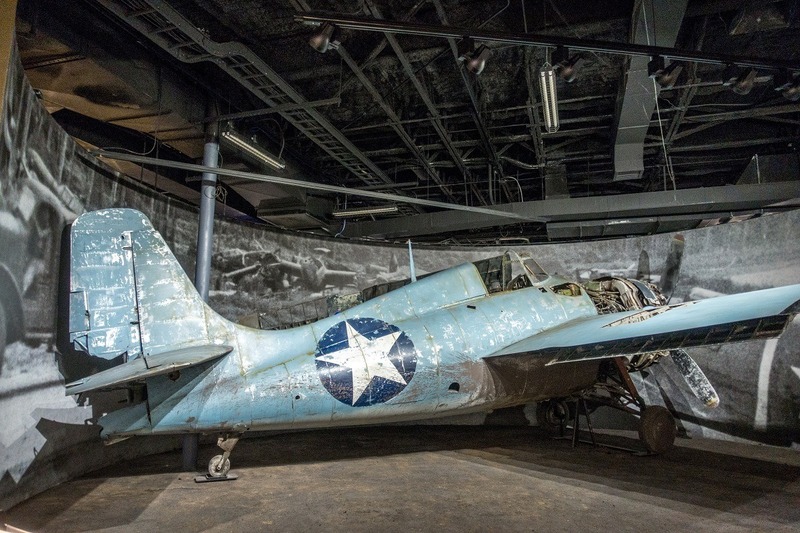 The National Museum of the Pacific War is a six-acre, three-museum site in the middle of the Texas Hill Country—not, on its surface, the most predictable place for a naval museum. 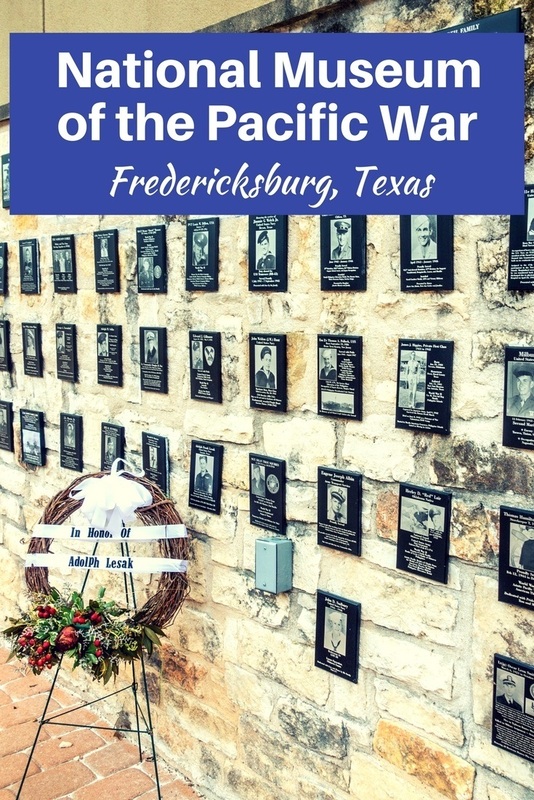 And Fredericksburg, a town of just over 11,000, isn’t the most likely location for a massive Smithsonian-quality showcase of thousands of war artifacts and artillery. 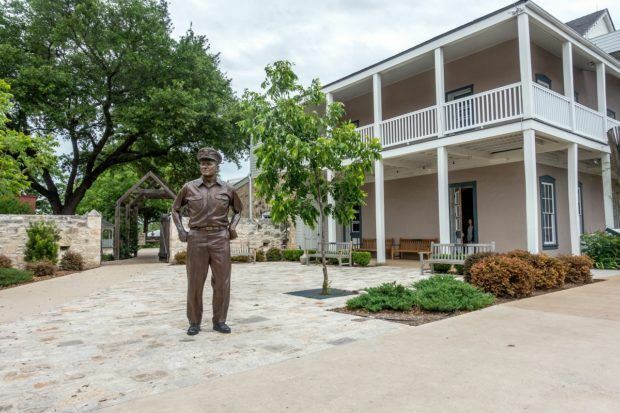 But when you learn that it was also the birthplace of Admiral Chester Nimitz, Commander of the U.S. Pacific Forces, everything starts to make a little more sense. The main building of the National Museum of the Pacific War covers every major battle of the Pacific War in astonishing detail. In addition to laying out the political and economic factors that led to the War, it takes visitors through harrowing experiences in Guadalcanal, the Philippines, Guam, Japan, and many places in between. At every stop, there are artifacts and vivid personal accounts of the battles directly from those who fought for their country. There are uniforms, pieces of torpedoes, condolence letters, and so many remnants of daily life in the service. It’s impossible not to be moved by the life-and-death struggle of all these young men. 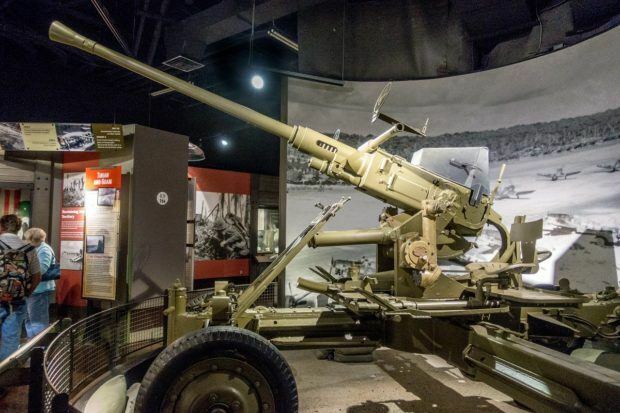 The thing that impressed us most about the museum was the sheer number of aircraft and artillery on display that help bring the conflict to life. 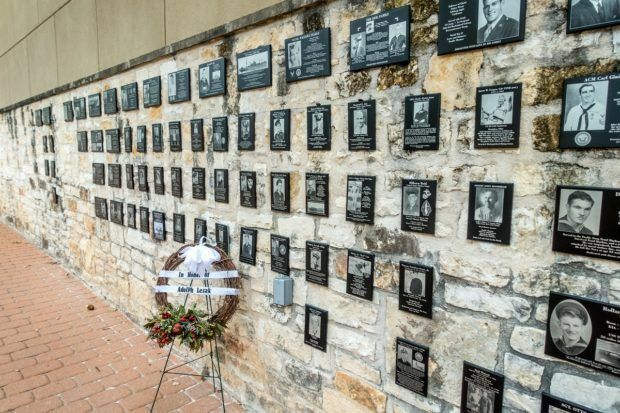 It’s hard to imagine the effort required to find these giant pieces of history and bring them to Fredericksburg. 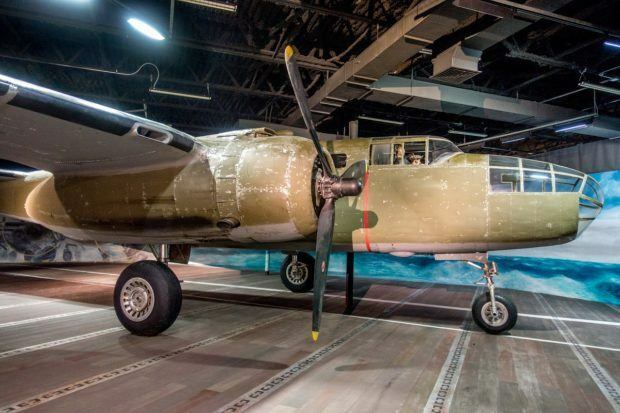 In addition to the spectacular 40-ton Japanese midget submarine, there are bombers, fighter planes, jeeps, and every other manner of craft involved in the war. 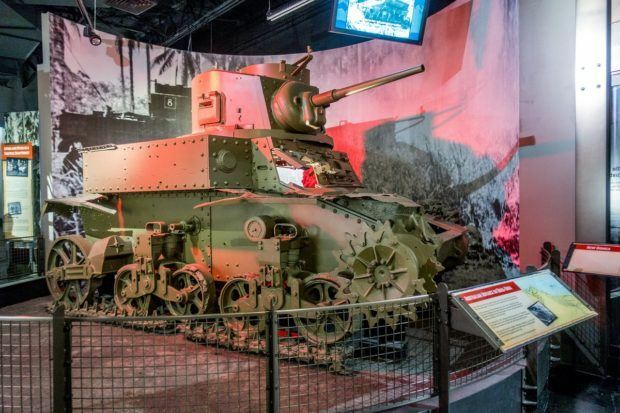 Visitors will also see an Australian tank, Japanese guns, and many more impressive items impossible to list. At every new sight in the museum, we were blown away by the attention-to-detail and the volume of major artifacts that have been assembled here. And that’s just in the first building. Next door, the Nimitz Hotel (built by the Admiral’s grandfather) focuses on the life of Admiral Chester Nimitz and his family’s early history in Fredericksburg. It traces his life and the evolution of his military career from his appointment to the U.S. Naval Academy to his critical role in World War II to his death in 1966. Only three blocks from the main museum complex is the Pacific Combat Zone. 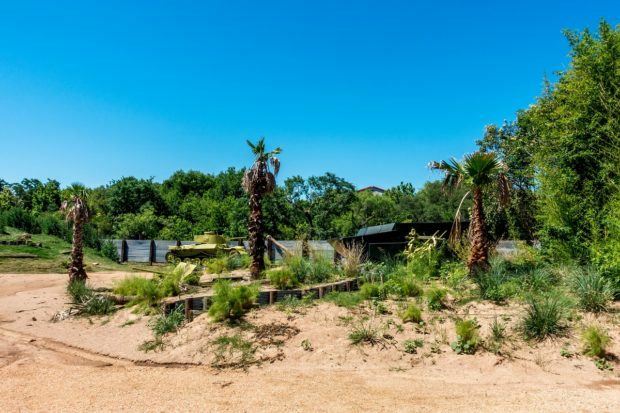 This patch of land has been transformed to mimic spots half a world away in the Pacific. With tanks and explosives, the Pacific Combat Zone brings the reality of battle into the entertainment realm. Eight weekends a year, reenactors take to the battlefield representing U.S. Marines and Japanese troops fighting for victory. 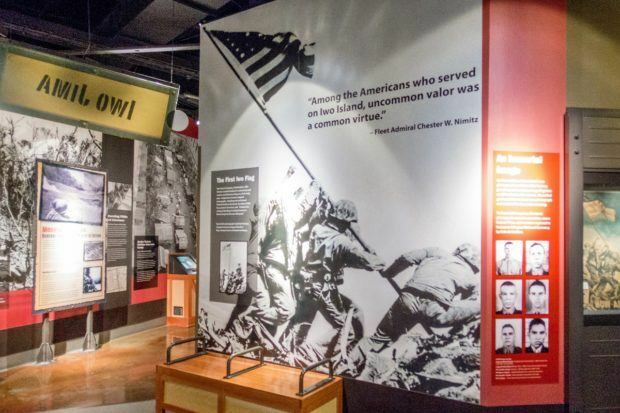 In addition to the battlefield, the annex is home to more exhibits, some of which follow the stories of individual servicemen as they went through the War. 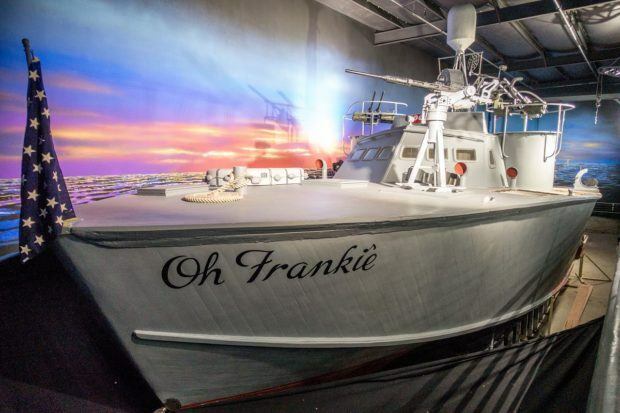 We were amazed to see that the museum also has one of only two surviving PT boats that saw combat. PT-309 is being carefully restored while on display, alongside information about what it was like to serve on the heavily-armed boats. 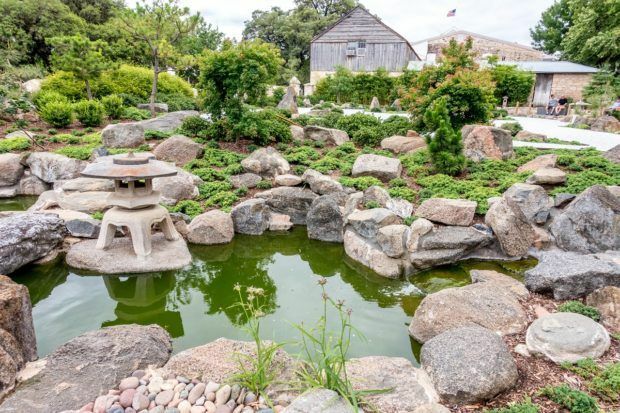 After the weapons, destruction, and loss of life seen throughout the world-class National Museum of the Pacific War, the Japanese Garden of Peace provides a much-needed moment of respite. Among the museum’s buildings, the gorgeous garden with its water features, trees, and stones is full of symbolism. It was a gift from the people of Japan in honor of Admiral Nimitz, built in Japan and reassembled in Fredericksburg by the original builders. It stands as a testament to friendship and peace, and a stop here is the final, perfect note on which to end a museum visit. I was the guest of the National Museum of the Pacific War. All opinions of the fascinating and engaging are my own.